We have been busy lately making a DIY video to our song 'The Hunter'. We now proudly present the video to you. Some people think that trophy hunting is OK. We think it's not. There’s almost nothing as despicable as rich people killing trophy animals. We will also be playing this song at our release show next week, May 3rd, at the Groote Weiver, Wormerveer (NL). Our entire record is available for streaming almost everywhere. A physical copy can be obtained via our Bandcamp page. Give the video a like/share/comment if ya dig. 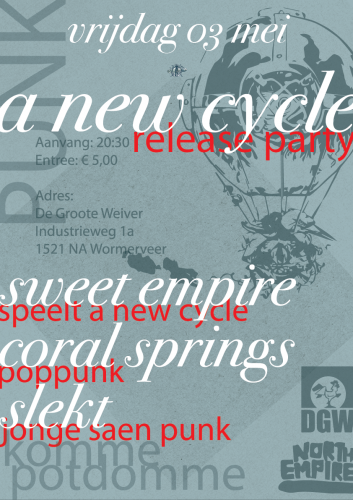 We'll be playing a release show for our new album 'A New Cycle' on May 3rd at De Groote Weiver, Wormerveer. We have invited our friends in Coral Springs and Slekt to play as well. Good times! The full album is streaming on all your favorite sites and devices. Find some links below. If you like what you hear you can order a physical copy on our Bandcamp page. We are extremely proud of our new record and are very much looking forward to hearing what you think of it. Hope you enjoy the listen! 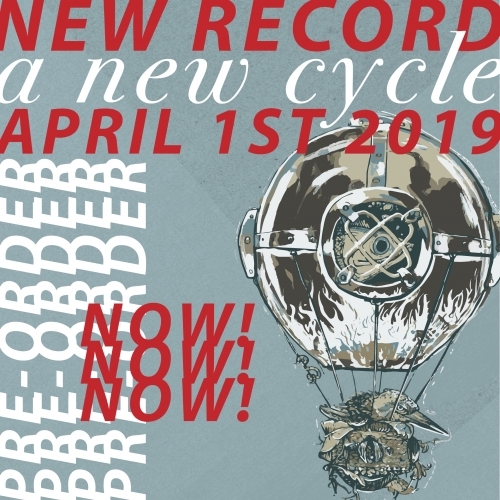 We are very excited to announce that our new record, 'A New Cycle', will be released on April 1st (seriously). Pre-orders for CD/LP are now available. We have also included a package deal with a great t-shirt! Listen to a new song, 'Thoughts and Prayers', on Bandcamp or YouTube. Within this song a combination of problems concerning the gun industry and gun ownership are discussed. On May 3rd we will be playing a release show at De Groote Weiver, Wormerveer (NL). More info on that soon. Also, we will be doing a weekender in the UK late March for which we expect to have the new record with us. Lastly, this weekend we are playing a home town show at Discovery, Castricum. Come hang!